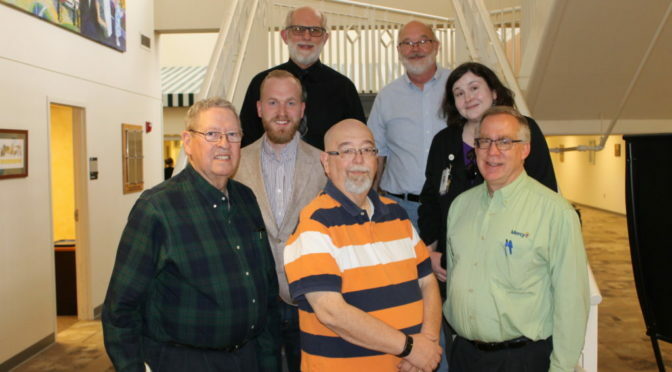 The Fort Scott Ministerial Alliance, 1st Row: President Don Flanner, Hiattville United Methodist; Treasurer Allen Schellack, Fort Scott Compassionate Ministries; Luke Anker, Mercy Health Center Chaplain. 2nd Row: Eric Going, Parkway Church of God (Holiness), Melissa George, Mercy Health Center Hospice Chaplain. 3rd Row: Rod Scherencel, Seventh Day Adventist Church; Secretary Steve Cole, First United Methodist. FortScott.Biz is doing a series of features on United Way of Bourbon County Grant recipients. The Bourbon County Ministerial Alliance is a recipient of a grant from United Way. Following is an interview with Allen Schellack, treasurer for the alliance. or by phone at 620-223-2212, or PO Box 774, Fort Scott, KS 66701. The Hospitality Fund is designed to extend physical assistance to persons and/or families traveling through Fort Scott that have no other resources and need help to reach their destination. The fund also meets physical needs of the residents of Bourbon County. 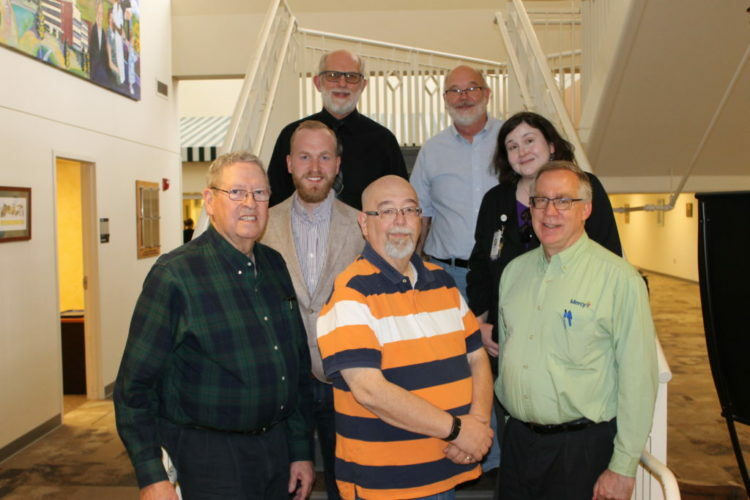 The alliance coordinates area nursing home services, Thanksgiving and Easter Services, Fort Scott High School Baccalaureate Service, and “See You At The Pole” Services. We usually assist an average of 45 persons/families a year. The Hospitality Fund is distributed by the Fort Scott Police Dept. under the guidelines of the Ministerial Alliance. Therefore, help is available 24 hours a day, 365 days a year. Also, a board member can be contacted any time by the police dept. or a local church not a part of the Alliance for assistance.